Winner of BEST BOOK OF THE YEAR from COVR (The Coalition of Visionary Resources), that recognizes the best new products in the New Age industry. 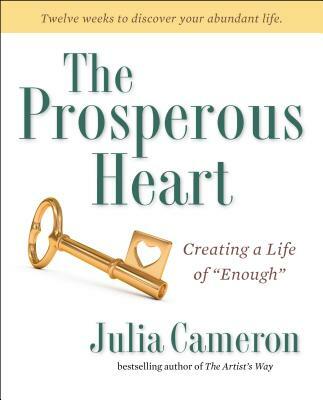 In The Prosperous Heart, the author of the international bestseller The Artist’s Way, Julia Cameron, presents a 12-week program for using practical financial tools—in partnership with your creative heart and soul—to guide you to prosperity in all areas of your life. According to Cameron, true prosperity has very little to do with the amount of money we have in the bank. Rather, it is about possessing a prosperous heart and the ability that affords us to see clearly—and appreciate—the aspects of our lives that are truly valuable. With inspiring daily tools, exercises, and strategies, this book guides readers in developing a life that is full, satisfying, and secure—both fiscally and spiritually. Drawing on her decades of experience as an expert on the creative process working with artists, Cameron shines a clear light on the path to forging a healthy relationship with money together with a rich creative life. In this wise book, she gives readers the courage and permission to live their lives as they create their art: with purpose, freedom, and inspiration. Author Julia Cameron has been an active artist for more than thirty years. She is the author of more than thirty books, including bestselling works on the creative process: The Artist’s Way, Walking in This World, and Finding Water. Also a novelist, playwright, songwriter, and poet, she has multiple credits in theater, film, and television. With-author Emma Lively is a classical violist turned musical theater writer, composer, and lyricist. She is the president of LivelyWorks, a production company, and also owns Bunny’s Bakery, a custom catering business. She has served as Julia Cameron’s business manager for a decade, and has contributed music and lyrics to Julia’s musical works.